It’s safe to say that not many people are happy with what happened last week. Not hearing much of anything from home office hasn’t helped matters either. I expect some subversive and disobedient Bookstore employees are going to find subtle ways of rebelling and showing their distaste at how their coworkers and themselves have been treated. Management at the store level isn’t too happy with how quick and drastic this Position Elimination fiasco went down either. They’re having to reconfigure schedules and work with up to 6 less people to get things accomplished. I believe I have finished all the comics that I had thoughts on and about the lay offs. I have another one on MY PATREON PAGE for those who’d like to see another angle on the whole thing. Thank you all for the support, I hope we can pull through this and find the best outcome despite the terrible indifference that Home Office has shown towards us. 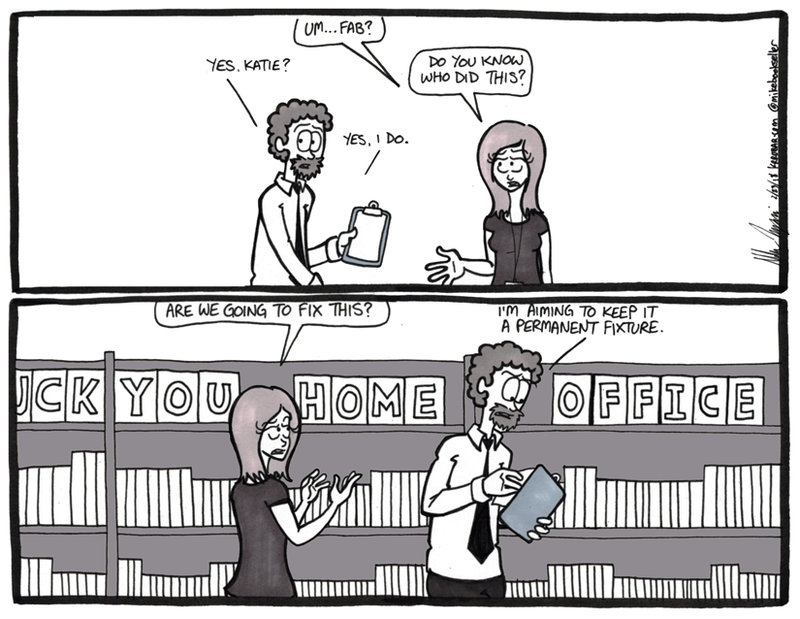 At least for now, the big picture of working at and for The Bookstore, I still like my job. I want to do the best I can for myself while I’m here.